Caesar haircut is a classic cut that will still be popular in the decades to come. The name of this haircut supposedly came from Julius Caesar who styled his hair with the hair going forward. This is said to hide his hairline that was already receding at that time. Whether the story about the Caesar cut is true or not, it is a face that this is the main choice of men who would like to hide their baldness. 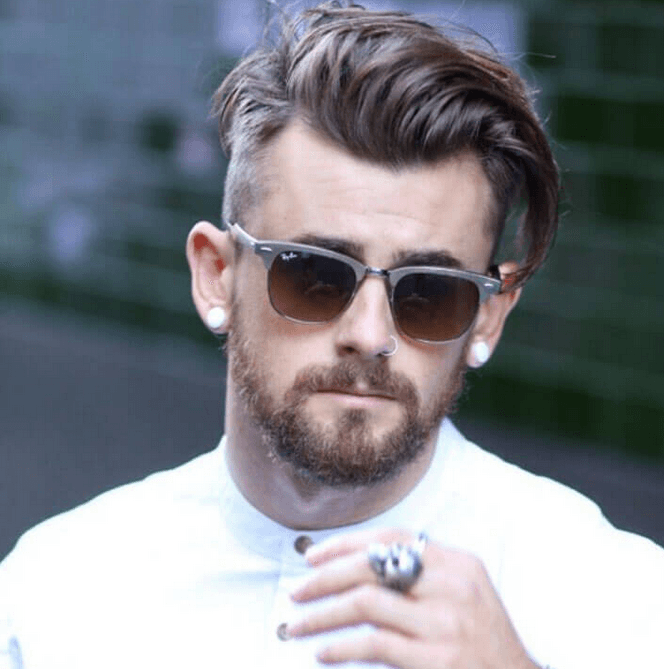 This can also be the hairstyle of choice of men who would like to have short yet fashionable hair. It does not require the use of a lot of products to style. This does not require a lot of maintenance. A lot of the styles are wash and wear. 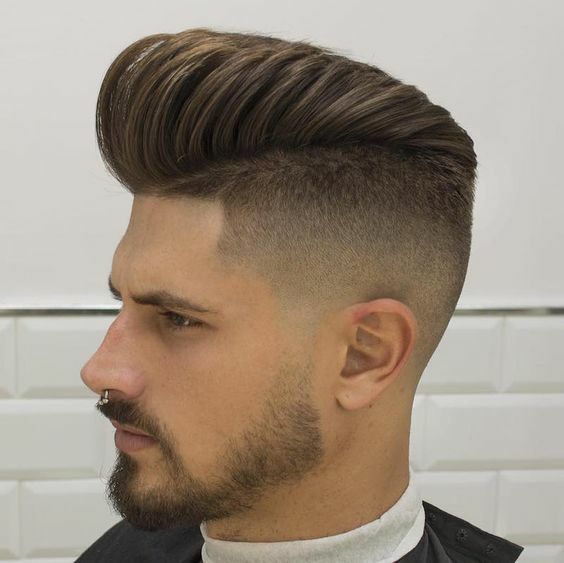 Any man can choose to have this type of haircut if he wants it. 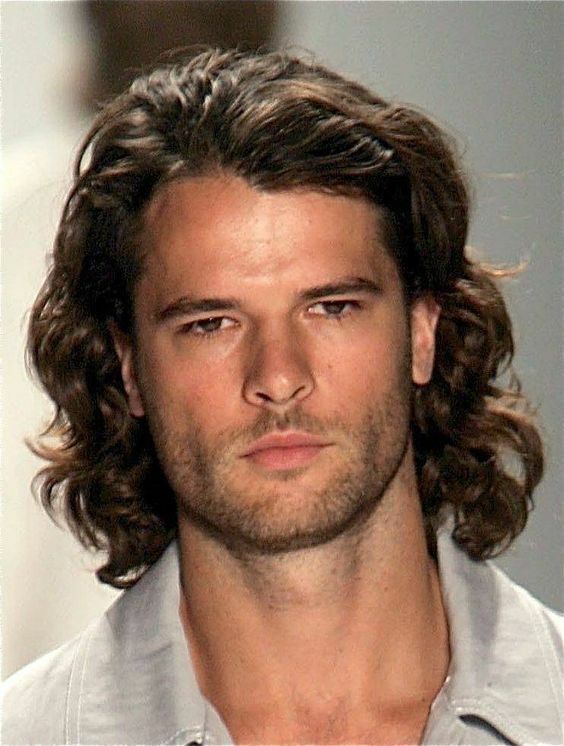 This can work for men with straight, wavy and curly hair. There are a lot of boys who have this haircut if they are very active in sports and other physical activities. Their hair cannot get in the way of the sport that they play. The traditional Caesar haircut usually has all sides of the head in equal amounts of hair. This means that everything is uniform, neat, and tidy. 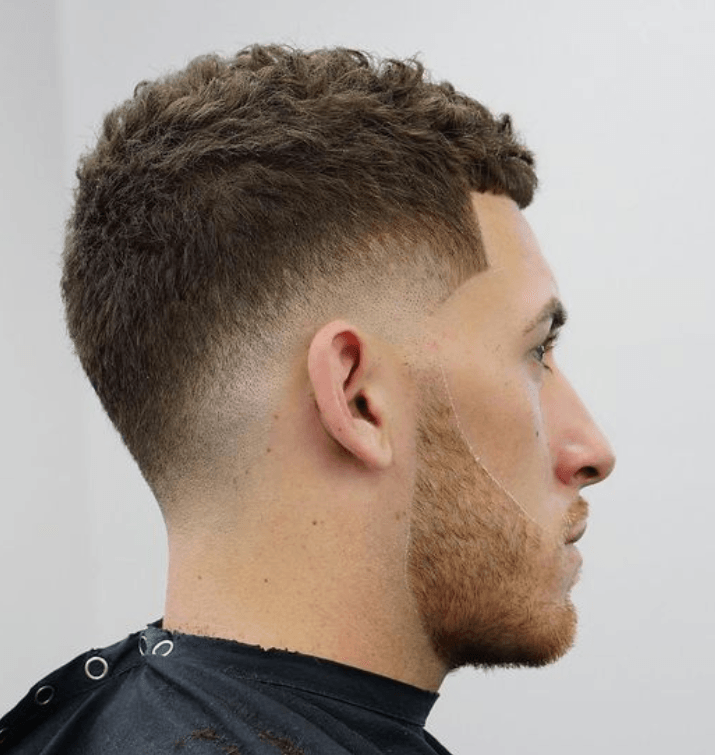 This is actually the type of haircut that may be different from the modern haircuts that are gaining popularity nowadays wherein hair in various parts of the head are usually in varying lengths. 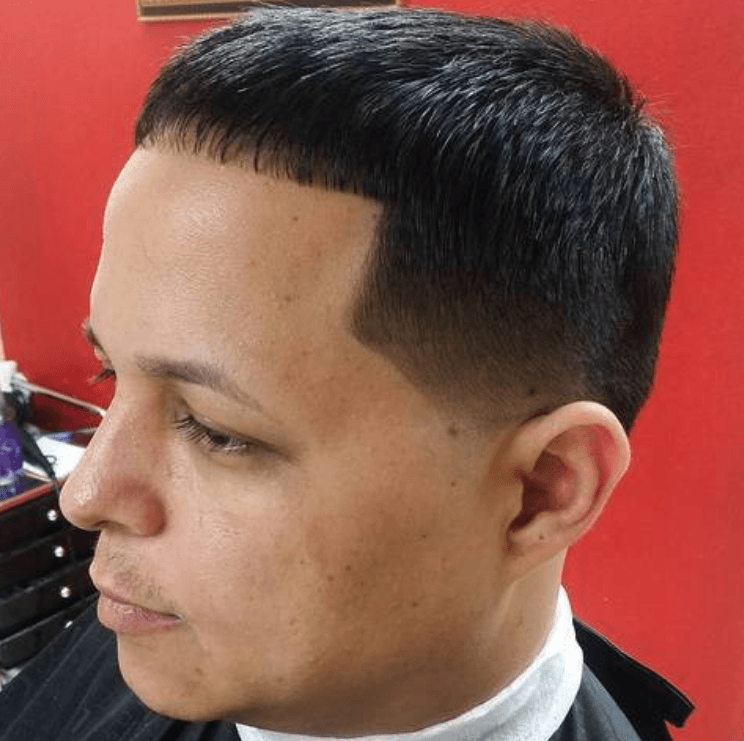 This is a haircut that used to be very popular in the 90s before the floppy haircut became popular but if you are just searching for a cut that you will not require a lot of maintenance, this is the best choice available. It is always important that you choose the right barber when it comes to having your hair cut. You do not want to end up having a botched hairs style, right? 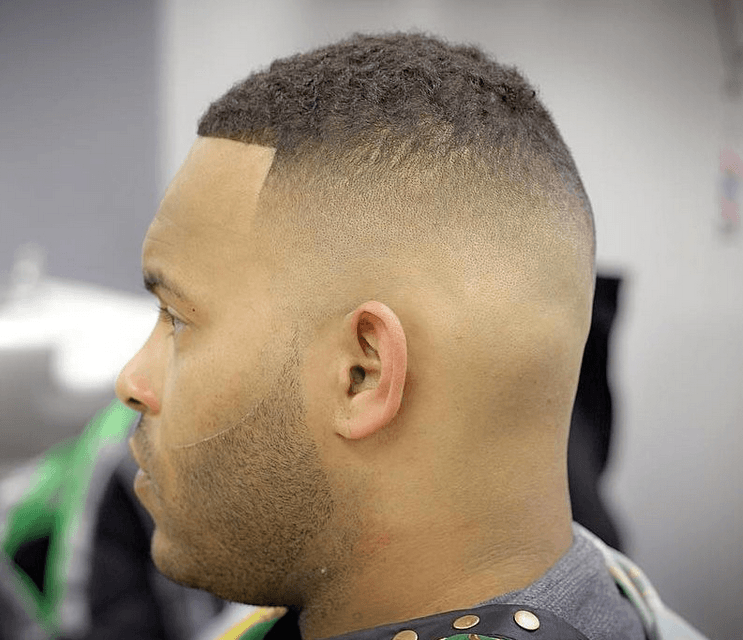 There are even some men who choose to cut their hair on their own because it is easy but unless you absolutely know how it should be done, allow your hair to be cut by professionals. Hair on top of the head may be from 0.3 to 0.5 inches. Based on the length of the hair on top of the head, the hair on the sides should follow the same length. You may choose the sides of your hair to be trimmed with either scissors or clippers. It would depend on the Caesar cut you would choose to have. Use the product on your damp hair. You can use your fingers since this will work better than a comb. Style your hair forward with a brush. Once you have the fringe that you want, style it again with the use of your fingers. Apply the product on the sides and back of your hair if you want your hair to stay put. It is easy, right? 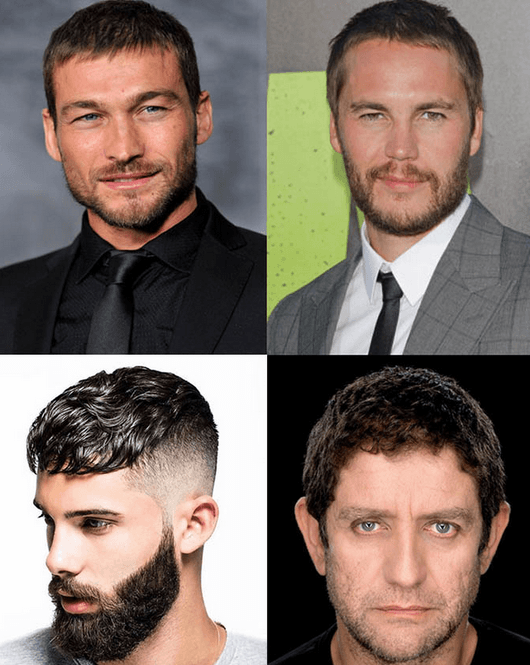 Now that you know how to style it, you have to become familiar with the different Caesar haircut styles so you can pick the one that is best for you and your lifestyle. 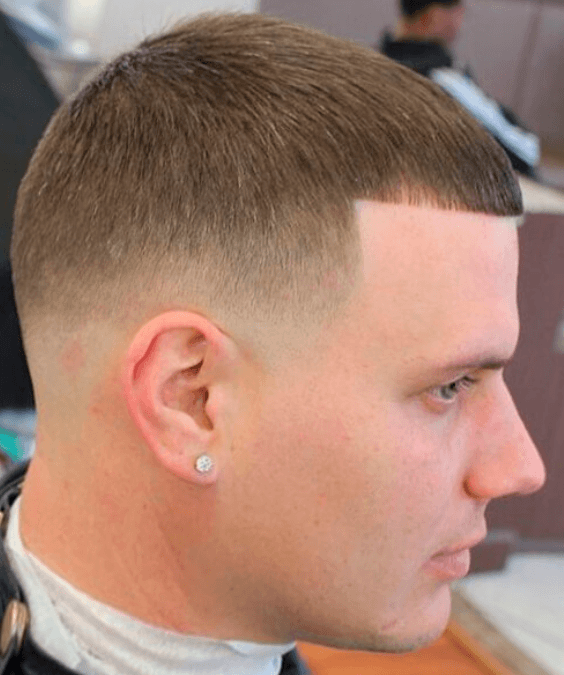 This type of haircut does not go far from the traditional Caesar cut. The main difference is going to be how perfect angles will be set up on the front portion of the hair. 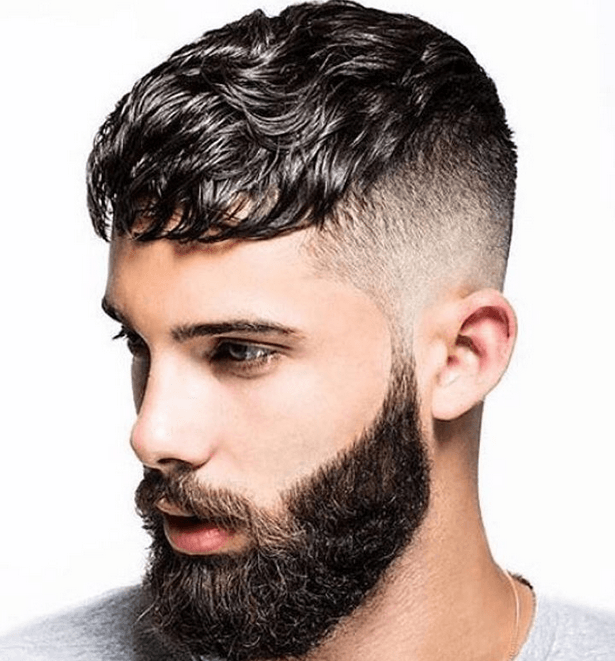 This will require a bit of maintenance as you need to go to the barber for a trim every 2 weeks or so in order to maintain the perfect lines but in between the maintenance haircuts, you will have awesome looking, Caesar style hair. There are a lot of men who believe that the classic Caesar cut right now is not popular anymore. In order to still make this cool, this type of Caesar cut may be a great option. While your basis is still the traditional Caesar cut, you can change the hair cut further by adding some temple fades. It will change your overall appearance greatly. Who says that your typical Caesar cut cannot have faded sides? This is one way that you can spice up this traditional hairstyle. Remember that the hair on the front portion should be very straight that they will appear almost sculpted so that it can appear as a great contrast to the faded side portions of your head. Can you imagine the Caesar cut being any shorter? Yes, you can! If you have always hated long hair or you just think that you look better in short hair, this may be the best cut for you to have. This may be popular in the past but a lot of men stay away from this hairstyle now because they feel that it is a bit dated. If you normally have facial hair, then your problem is solved. This super short Caesar cut will look good with thick facial hair. You want a type of hairstyle that will compliment your thick hair so this is the style that you would choose to have. The top portion of your hair is going to be thick and there is no doubt about that. The sides are going to have a high fade. The super short Caesar cut was mentioned earlier but actually, you can go even shorter with this extremely short Caesar cut. Basically, this will work best for men with fine hair. Your scalp will almost be seen but if done correctly, every strand of your hair will be evident. This will also work better on men with dark hair. Do you want to have a Caesar that looks so perfect especially when viewed from the sides? If you answer yes then you do not need to look any further. 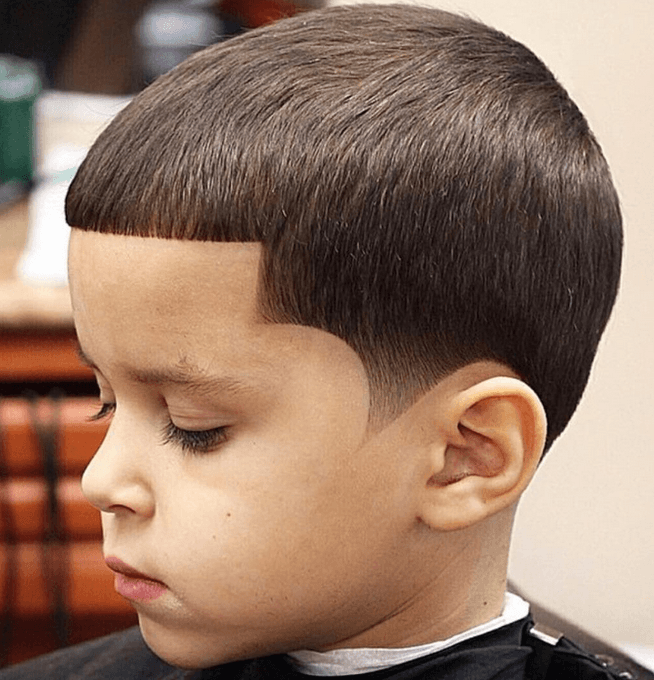 Having this type of hair cut means that clippers will not be used on your hair. Razors will be used instead in order to achieve this desired cut. If it would be executed very well by the barber, then it is going to look unreal for a certain period of time. Of course, you need to have it trimmed to maintain its appearance. Instead of having a faded haircut, you are going to have only the area of the temples and the nape line blurred. The effect may be a bit disconcerting from people who are looking at you from the sides and the back because your hair will appear to not have been cut straightly. 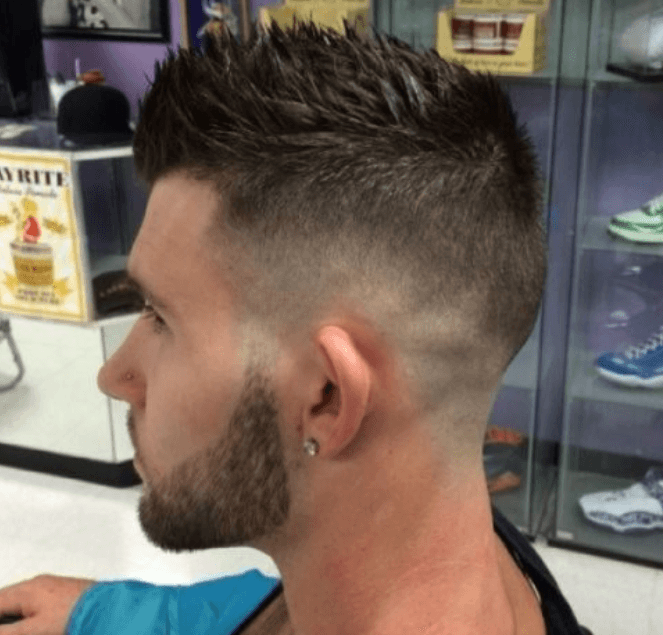 This is a nice haircut that you may want to have if you do not like the traditional Caesar cut. 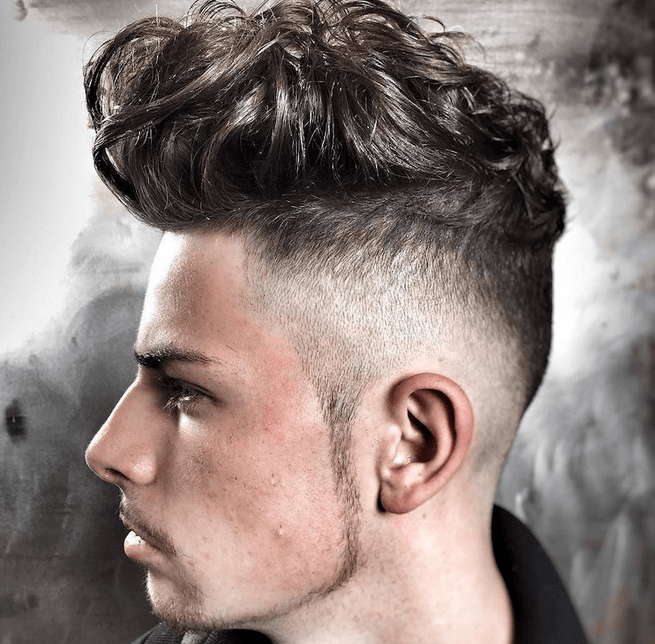 Faux Mohawk Caesar is one modern Caesar cut style that you can try if you want your hairstyle to look more modern. 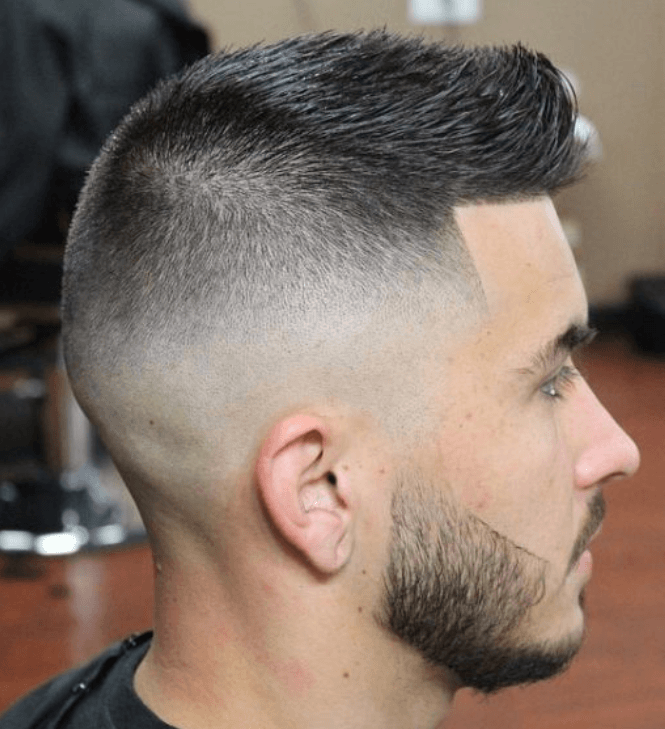 It is vital that you choose the right barber to cut your hair because there are different cutting techniques that will be used in order to achieve this look. The fringe on the front portion of the head will be cut bluntly while it would look like the hair on the sides and the back of the head are slowly fading. This is a type of cut that you would like to show off to people. Who says that the Caesar cut can only be worn by men with fine hair? 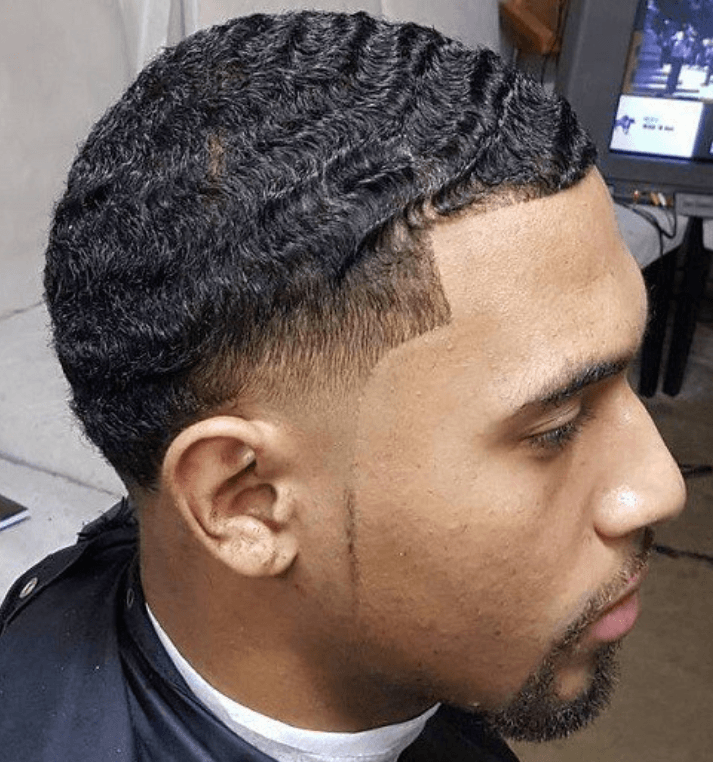 You can have this cut even if your hair is wavy or curly. 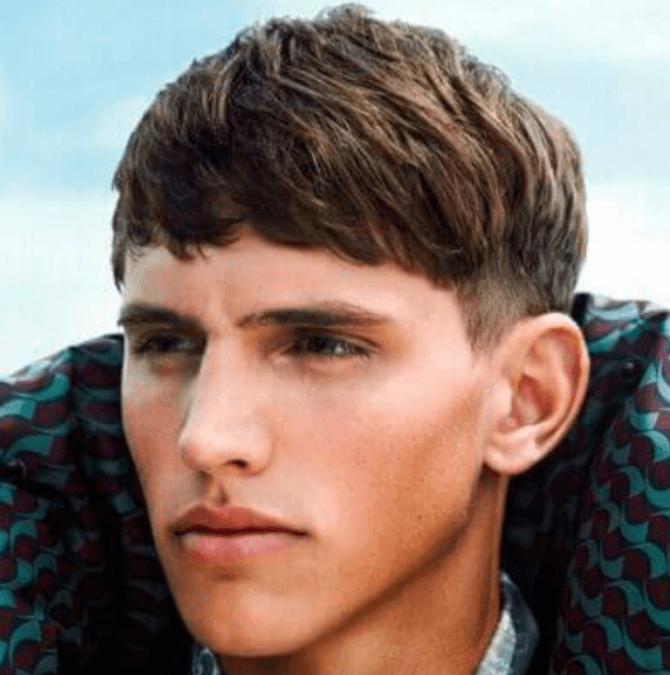 You can show off your short waves that will be combed forward in order to follow the traditional Caesar cut hairstyle. The sides are going to be faded. For sure, this can make you look cool. One of the adjectives normally used to describe the Caesar cut is neat. What if you are going to stay away from this adjective and make your hair deliberately messy? This is possible. The texture of your hair is going to be light which means that you cannot use hair products on it that will make it appear hard. This will make you look funky yet the short hair strands will still make this hairstyle passable for different settings. This is actually a type of Caesar cut that almost looks like a Mohawk style because of the thick middle portion of the hair. The high fade will make the illusion of a Mohawk even stronger but this is just your take on the traditional cut. If you would like to have a little bit more hair than usual then allow the hair to grow up to medium length so that you can have the bangs cut bluntly. 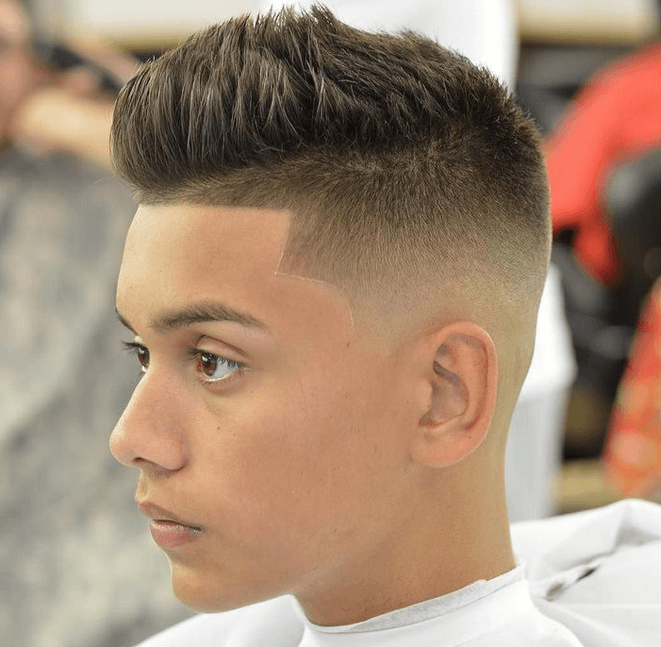 The sides will then be faded but the hair on the crown of the head will extend up to a certain portion of the back that with ends that will be cut bluntly as well. This is the typical Caesar cut that you can change up a bit by adding some facial hair. Having a semi-thick beard will be awesome and will go with your short hair. Just make sure that you will add the right hair products in order to make your hair appear slicker. One tip to remember is to make your hair as thick as your facial hair. If you would like your curly hair to become more manageable then you do not have to look for any other haircut. 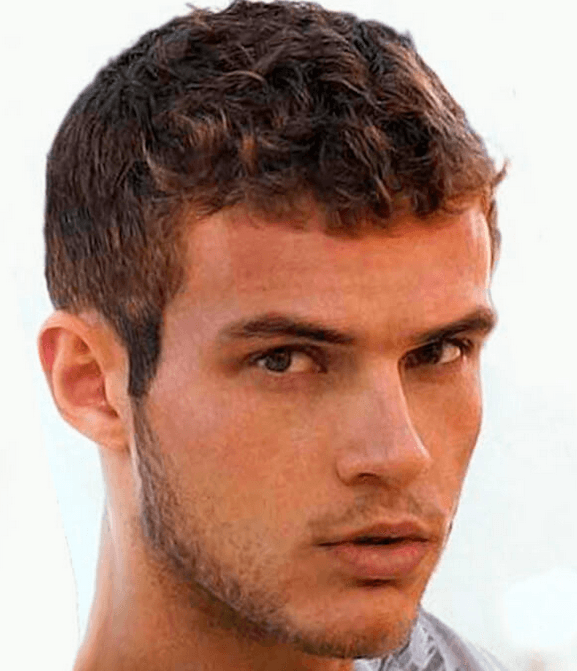 By having Caesar cut on your curly hair, you can expect that your hair will be easier to manage and to style. If your curls normally cooperate when they are short, you do not need to use hair products to manage them anymore. Instead of allowing your hair to be buzzed all over, you can ask your barber to use the scissors instead. 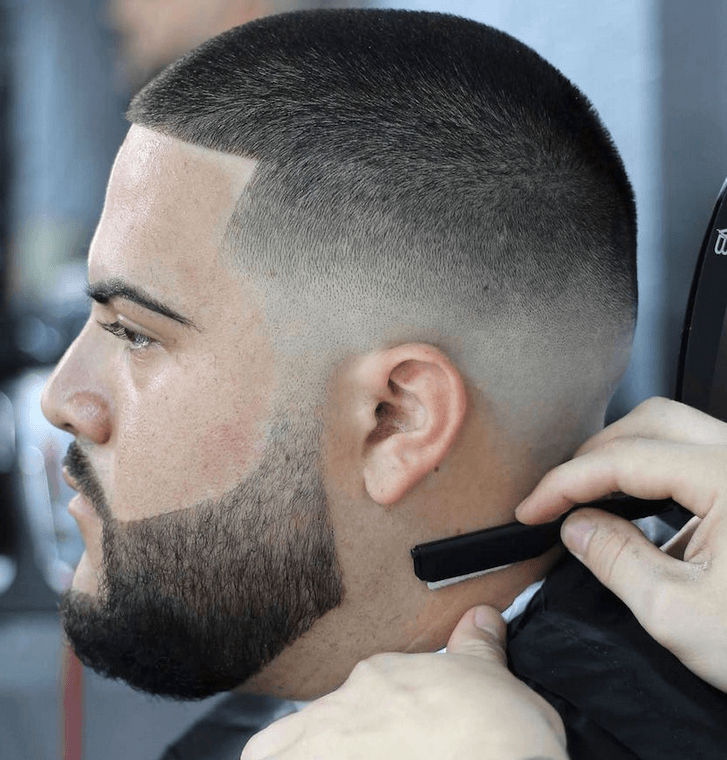 This will allow you to have a more textured cut that can emphasize your face shape. The barber should be skilled enough to make sure that the longer hair strands are trimmed while your bangs will be styled forward. If you think that having a Caesar cut requires that your hair has to be in only one color then you are mistaken. 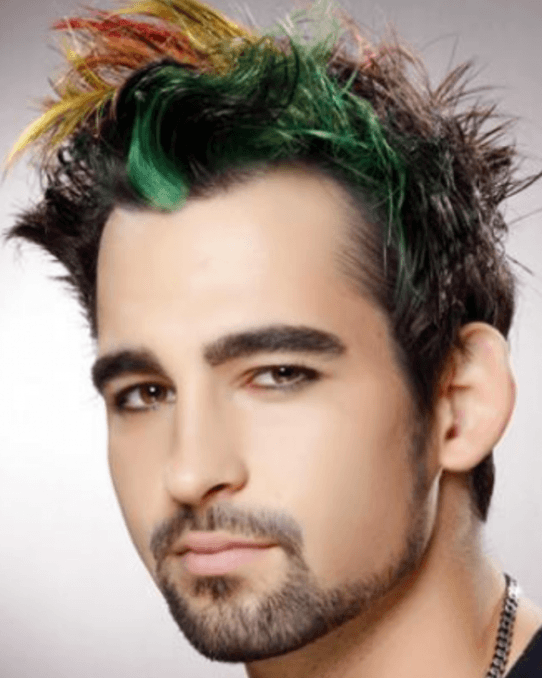 This colored Caesar cut will allow you to have fun with your hair color. You are recommended to have some highlights and perhaps even low lights that can work with your hair’s natural color. There is a Caesar cut that involves a lot of edges but what if the end portions will be curved or rounded instead? It can look perfect especially if you would maintain it often. 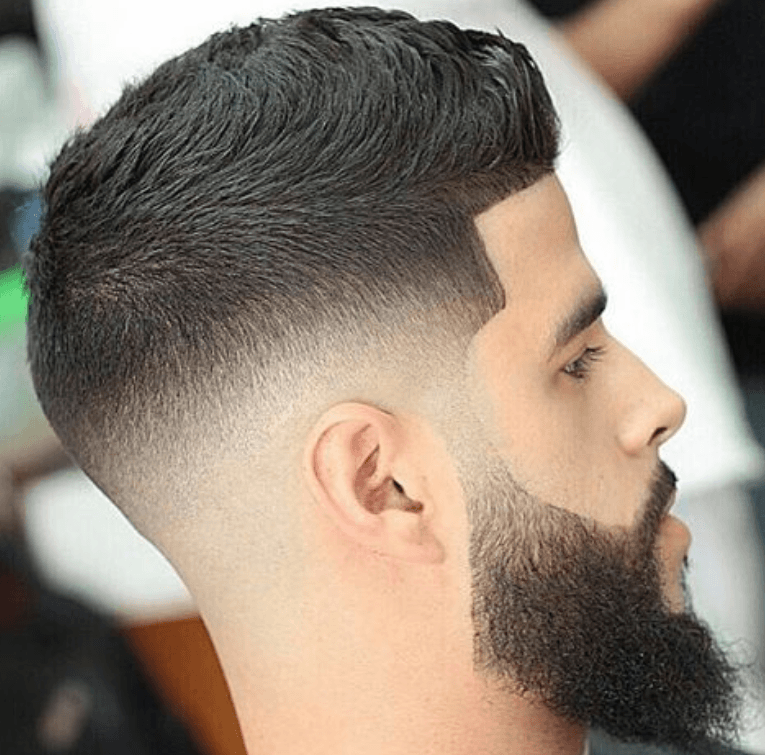 Do remember that not all barbers will be able to give you this type of hairstyle frankly because you need to have the perfect hair volume, perfect hair length and perfect texture before you can get this hair cut. If this won’t work for you, do not worry because there are other Caesar haircut styles available. Based on the list, which Caesar haircut are you willing to try the most?